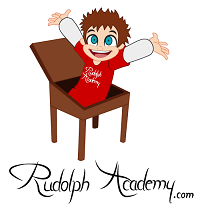 Rudolph Academy Teacher Resources, Math Worksheets, Quizzes Online, Lessons, Crossword Puzzles and Word Searches, Educational Poems, Sudoku - Find K-12 Teacher Resources. Take quizzes online. Find printable worksheets, crossword puzzles and word searches, lessons, educational poems, video lessons. Get Common Core K-12 worksheets and lessons.Rudolph Academy Teacher Resources, Math Worksheets, Quizzes Online, Lessons, Crossword Puzzles and Word Searches, Educational Poems, Sudoku | Find K-12 Teacher Resources. Take quizzes online. Find printable worksheets, crossword puzzles and word searches, lessons, educational poems, video lessons. Get Common Core K-12 worksheets and lessons.